My husband served in the US Army National Guard for 12 years and we were incredibly blessed during that time that he never was deployed for longer than a month. But, there are so many families who don’t see their sons/daughters, husbands/wives, fathers/mothers for a year or longer because they are serving overseas. Especially during the holiday season when it’s all about families coming together, I cannot imagine how difficult it must be for those who are celebrating without their loved ones. 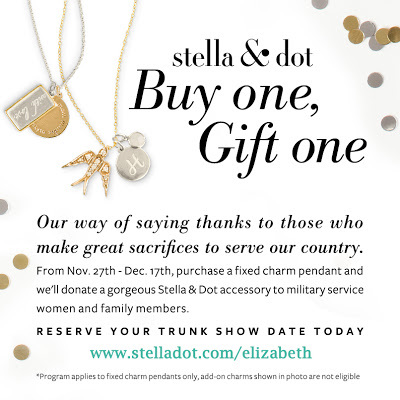 Which is why I am so proud to be sharing with you this special promotion that Stella & Dot is offering now through December 17th (see details below). Whether you buy a necklace for yourself or for someone else, you have the joy of knowing that you are making the holidays a little bit brighter for those who have sacrificed so much to serve our country. loving this casual (yet still totally chic) look on you. i keep voting but i'm not seeing the # go up anymore? did they change the rules to only one vote a day or one time only??? What a wonderful thing that Stella & Dot is doing, and such a fabulous cause. Thank you so much for sharing this. I'm going to remember this when I do my holiday shopping. Gorgeous! Love the layers – and the neutral too! Great look today. Love the chunky and oversized collar on your sweater that pops out. GORGEOUS! Stunning outfit ! this coat is gorgeous ! if you want we can follow each other on facebook and instagram ! i love the way that the sweater's neckline folds out over your coat–so chic! and i can't believe those skinnies are from F21! they look so glam! That's cool how you put the sweater collar over the coat. It kind of looks like it's part of the coat…So it's like you gave yourself a new coat for free! The sweater and coat together are perfect! 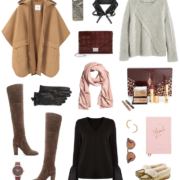 I love a good camel coat! Great post! You look so chic in this outfit! I love the collar of your sweater overtop of that fabulous coat! What a great initiative by Stella & Dot. Heading over now to vote for you on the Trend Challenge! absolutely love you how you layered the sweater with the coat; I never think of things like this because the opportunities are rare. Great inspiration. I love that you popped the sweater over the collar of your coat! It looks like it was made that way. Very creative! this look is so great! love how the huge collar from your sweater underneath has created a whole new look for you coat!!! perfect combo!!! LOVE your Loft sweater, it really makes your layers pop! Such a SWOON-worthy coat. AMAZING. 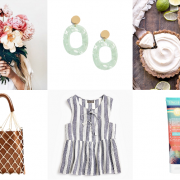 I'll be stopping by stella and dot as well! So smart! I'm having a total "why didn't I think of that" moment… I have a black peacoat I never wear because I think it's boring, mostly because the buttons are black, too. So I've been looking for a new one with gold buttons. Hellooooo!! All I need to do is shop for gold buttons (and a sewing kit). Thank YOU for switching on the dim little lightbulb in my head. Love how the collar of the sweater peeking out totally changes the look of the coat. Love this look! Your coat is gorgeous and your style is really awesome ! I Adore that layered look you styled with the coat! you look beautiful! So glad to have found your blog! 🙂 Keeping in touch! What a great cause! I love that you shared this with us. I also love your outfit, I have those pants! Just need the amazing colored coat you have on! I always have loved Stella & Dot jewelry! Kim, it's always so nice how you give a casual outfit a chic touch. Omg, I now need that jacket! love! Perfect combination! Love the entire outfit! I love the color of that coat! 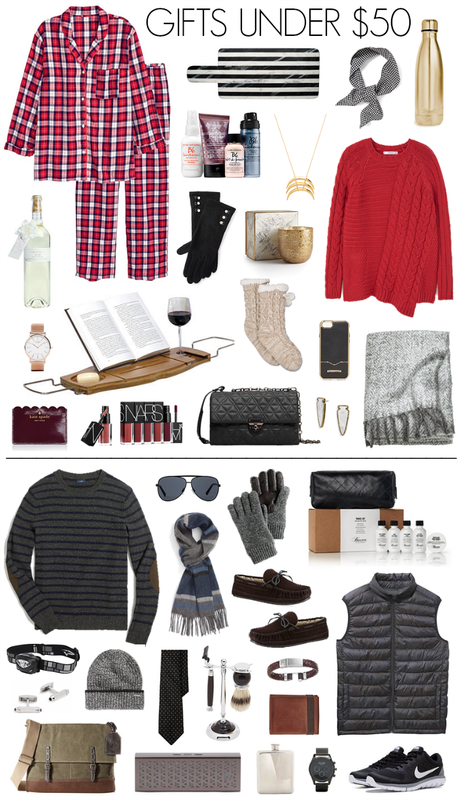 I love the sweater peeking out from the coat! Love this chic layered look! Found your blog last week and am really enjoying reading it. I always admire your layering abilities! I love this coat! I'm in need of one this color.